Oil Revenue Leakages: Another Chance for Nigeria By Nasir Ahmad El-Rufai. The Presidential Economic Team of 2003 to 2007 which I was privileged to be a member had a running joke – that the NNPC was an independent federal republic on its own totally separate from and way superior to the Nigeria we all worked for! This joke was our way of criticizing the way and manner the NNPC not only sells crude oil as an agent on behalf of the government of the federation as in its enabling law, but even then felt entitled to spend as much of the proceeds of sale as it deemed fit. The NNPC had begun then to be a law unto itself, outside our national laws and above the constitution, hence our joke. Recent revelations of oil revenue leakages have confirmed that this is a joke that has turned into a macabre reality. Our nation’s finances are in grave danger of becoming zero due to the conduct of a rogue institution that has become more powerful than its principal under Jonathan’s watch. For a country dependent on oil revenues for most of its income, Nigeria cannot claim to have exercised the closest scrutiny on this vital resource. At least not in recent times. As bad as this gross neglect has been, it is surpassed by the failure to seize the moments that have also been presented to the country in recent times to restore some sanity and integrity to the collection and remittance of revenues. The conversation around the sudden explosion in the fuel subsidy payments from N300bn in 2009 to over N2 trillion in 2011, the protests around the removal of petrol subsidy in January 2012, and the subsequent investigations into the scandal regrettably did not coalesce into a new deal on revenue management or sanctions for the beneficiaries of the obvious fraud! Another such opportunity to clarify compliance with the constitution, law and due process in the collection and remittance of oil revenues has been presented by the rolling revelations made by brother CBN governor Sanusi Lamido Sanusi. It is a moment the whole country should seize, so that public confidence can be restored in the operations of the NNPC and integrity of the revenue remittance process. But to get there and understand the issues clearly, let’s summarise the constitutional position, the law and the factual contentions. Our constitution is very clear in sections 80, 81, 82 and 162 in requiring that all revenues are to be paid into the federation account for distribution to various tiers of government in accordance with the provisions of the constitution and the revenue allocation act. No institution or person can spend a kobo on fuel subsidy or pipelines repairs from these revenues without the funds being first paid into the federation account, and then subjected to due appropriation by the National Assembly. Any spending outside this lawful framework is a case of an agent not accounting honestly for proceeds of sale to a principal. In everyday language, that illegal conversion is called theft, pure and simple, and in violation of the constitution. No one, whether it be NNPC or the Jonathan spin-masters should be allowed to obscure this clear legal position. Now, what are the facts surrounding the latest case of non-remittance of federation revenues? In a letter to the president in September last year, Sanusi expressed concerns about the non-remittance of $49.804 billion, monies due to the federation account from crude oil sales. Until December when the letter became public, neither the presidency nor the NNPC responded to the issues, believing like every other instance of corruption allegation, the matter will die a natural death over time. Internally, within the Jonathan administration, no clear action was found to have been taken to cross-check the veracity of CBN’s concerns about the NNPC owing the federation account some N8 trillion. The NNPC demurred only when these concerns became public, insisting it was not owing the federation account. When all the parties – CBN, NNPC and the Federal Ministry of Finance – met to reconcile accounts, it was agreed that indeed some funds had not been accounted for and may need further reconciliation. The outstanding sum amounted to $10.8bn (according to NNPC and Ministry of Finance on one side) or $12bn, according to the CBN. Further to this, the NNPC then came up with another afterthought – that it had spent the $10.8bn on gasoline and kerosene subsidy payments, repairs of vandalised pipelines and operational costs. It did not appear that anyone believed the NNPC, on its use of the money, its right to withhold the money in the first place and its initial denial of owing the federation account. The CBN is obviously one of those not buying the NNPC’s explanation. This week, the apex bank raised the figure of non-remitted funds to $20bn, including the $12bn outstanding from the reconciliation. The balance includes $6bn worth of crude oil NNPC shipped for the NPDC its upstream subsidiary, and another $2bn from “third-party” financing. What has been lost in the emotions unleashed by these series of disclosures are the substance of the issue, and the caveats inserted by the CBN governor. His letter to the president and public statements are drawing attention to the non-remittance or non-repatriation of funds to the Federation Account. There was no claim then that these monies are missing, at least not yet. That will be beyond the CBN’s brief. But as the banker to the government, the CBN is within its mandate to declare what sums it has received in relation to the funds expected. The onus is thus on the NNPC to explain why these monies have not been remitted or why they cannot be remitted, and point to the laws that permit them to so act. Anything other than this is admission of theft of federation account proceeds and the 36 states and their local governments should act to recover the amounts, if the Jonathan administration does not. It is my view that the NNPC have to quickly refund the amounts or prove the numbers wrong. It cannot take comfort on the brittle ground that the sums said to have not been remitted have fluctuated. It has not convincingly explained why it held on to monies belonging to the Federation Account, and why it used the monies for its own purposes without the lawful authority of appropriation by the National Assembly. Every kobo not credited to the country or not properly accounted for by an agency of the government violates the constitution and the law. I do not believe that we have sunk so low or that our moral prisms have so contracted as to consider $10bn – nearly a third of the annual federal budget – as too puny to worry about. A kobo of public funds not properly accounted for should bother us, because a person that can steal a penny will steal billions if opportunity presents itself. We should rather aspire to live in a country whose revenues do not leak, leading us free to concentrate on value-for-money in government investments and expenses. The Federation Account belongs to the federal, state and local governments, and the quantum of the balances it contains should concern every Nigerian. Many of the 36 states are rightly concerned that the explanations offered imply that the NNPC can practically shortchange them at will. The conduct of the NNPC thus distorts the revenue allocation formula, already weighted too much in favor of the Federal Government. It must be in the interest of the FGN and the NNPC not to allow the perception to fester that the NNPC has indeed become a state within a state, protected and reinforced in its law breaking by a corrupt and benefiting Jonathan government. As a minimum, that would entail thorough scrutiny of the NNPC accounts which have not been audited since 2005, if only to avoid legal entanglements with state government who are at liberty to sue for the non-remitted funds. The National Assembly has to ask the tough questions regarding the legality of the strategic alliance agreements between the NNPC/NPDC and Atlantic Energy and other fly-by-night ‘indigenous operators’ with not track record other than connections to the Villa. It is a serious matter when a CBN governor goes public with the charge that “these agreements merely serve to transfer revenue due to the Federation into private hands” – yet another clear, more serious case of theft of federation revenues by a private firm, facilitated by the NNPC. Citizens should put pressure on all elected officials that amidst these contentions, Nigeria will emerge with a transparent, rigorous and effective oil revenue collection and remittance system. While awaiting passage of the much delayed Petroleum Industry Bill, the NNPC should in the interim be compelled to remit all funds first, and submit verifiable claims for reimbursements later, after due appropriation by the National Assembly. In the meantime, we should thank for the CBN and its courageous governor for providing the facts and figures, and the opportunity to introduce real transparency in the very opaque oil revenue remittance regime of Nigeria. The ball is now in our court to ensure that this case of financial malfeasance is not swept under the Jonathanian table! Does the ‘missing’ oil money have anything to do with the 2015 elections?. Africa’s biggest oil producer Nigeria is facing questions about where billions of dollars in oil money is going, amid suspicions of fraud and it being syphoned off to fund election campaigns. The issue has been rumbling on since September, when the governor of the Central Bank of Nigeria accused the Nigerian National Petroleum Corporation of withholding $49.8 billion in oil revenue. Sanusi Lamido Sanusi, who steps down as central bank chief in the coming months, later revised his figures down to $12 billion, sparking claims of political pressure. But this week he again claimed that the state-run NNPC owed the central bank money — this time $20 billion from the $67 billion earned from oil between January 2012 and July 2013. “It is now up to NNPC… to produce the proof that the $20 billion unremitted either did not belong to the federation or was legally and constitutionally spent,” he told a parliamentary committee. Nigeria produces about two million barrels of oil per day, and crude exports account for about 80 percent of government revenue. Government figures indicated it earned some $49 billion in export revenue in 2012, down from $54 billion the previous year. Some of the funds go into a rainy-day fund, called the Excess Crude Account (ECA), to ensure the government budget is financed in case world oil prices fall sharply. Last year, as global oil prices held above $100 per barrel, revenue above a benchmark of $79 per barrel set by the government and lawmakers went into the fund. According to the latest central bank figures, the ECA held $11.5 billion at the end of 2012, but this had dropped to $2.5 billion in January this year. The reduction comes at the same time as a decrease in foreign reserves. Last May they stood at $48 billion but are now at about $42.7 billion, according to CBN data. “It’s unfortunate that the government has indulged in a spending jamboree without any noticeable improvement in the standard of living of the people,” said Lagos economist Abolaji Odumesi. “The ECA is meant to protect Nigeria in the event of price shocks but the purpose for setting the fund aside is now being defeated,” the former banker told AFP. Nigeria’s influential governors’ forum, led by Rotimi Amaechi of the oil-rich Rivers State, has accused the federal government of unilaterally taking money from the account. The group even went to court to challenge Jonathan’s withdrawal of $1 billion for a new Sovereign Wealth Fund, set up to invest the savings from the difference in budgeted and actual oil prices. Suspicions abound that the money has been used to weaken states controlled by the opposition, which has been boosted by the defection of dozens of members from the ruling party. Amaechi, who switched from Jonathan’s Peoples Democratic Party to the All Progressives Congress last year, has long argued that his state is being short-changed. For their part, the NNPC and the government say the money has gone to legitimate projects and that oil theft and vandalism have contributed to the reduction in revenues. There is a widespread consensus that oil-theft, or “bunkering”, is a problem in Nigeria. Estimates range up to 150,000 barrels per day being stolen, robbing the exchequer of about $6 billion a year. Anti-corruption campaigners allege the money may have been diverted to fund the 2015 election campaign, which looks set to be the closest since Nigeria returned to civilian rule in 1999. “The Jonathan administration is merely syphoning money to prosecute its re-election agenda,” said Debo Adeniran, of the non-political, non-profit Coalition Against Corrupt Leaders. “It is absurd that at a period when our oil is sold $30 above the benchmark price, the foreign reserves and excess crude accounts are going down. Adeniran praised Sanusi for blowing the whistle on what he called a “monumental fraud”, but said it was wrong for the NNPC to have spent the money — regardless of how much was involved. “The NNPC has been a haven for corruption and inefficiency in this country,” he said. How NNPC Illegally Diverted $20 Billion From The Federation Account -CBN Governor Sanusi. I am pleased to stand before you and present a summary of my latest submission on this subject. The submission itself is about 20 pages long with 30 Appendices, providing documentary backing for all material statements. The background to this session remains my letter to the President in which I indicated that there was a difference between the value of crude lifted by NNPC between January 2012 and July 2013 and the amount of foreign exchange repatriated into the Federation Account. This difference was placed at almost $50 billion and I respectfully advised the President to order an investigation into a number of areas I suspected were responsible for leakages in oil revenue. My letter was, sadly, leaked and published in a highly politically-charged atmosphere. The Central Bank was practically accused of involvement in politics and in December it was clear to me that no tempered and positive discussion would take place. In order to calm nerves and avert major crisis I agreed to a joint press conference with Finance Ministry, the Petroleum Ministry and also to present a common front at the National Assembly. Since December, however, there has been an orchestrated campaign aimed at undermining our credibility and misleading Nigerians into believing that all monies due to the Federation Account have been either remitted or accounted for. I am, therefore, compelled to present to this committee detailed evidence that NNPC has in violation of the law and constitution been diverting money from the Federation Account, and involving itself in activities that warrant full investigation for more serious violations of the law. 1. That NNPC, in paying what it calls kerosene subsidy, is confessing to a number of serious infractions. First, I have shown, based on NBS data, that kerosene is not a subsidised product, and, therefore, the so-called subsidy is rent generated for the benefit of those in the kerosene business. Second, I have produced evidence that President Yar’Adua had issued a presidential directive eliminating this subsidy payment as from July, 2009. Third, these huge losses inflicted on the Federation Account have not been appropriated. The burden of proof on NNPC is to show where they obtained authorization to purchase kerosene at N150/litre from Federation Funds and sell at about N40/litre, knowing fully well that this product sells in the market at N170-N220/litre. At what point was the presidential directive revered? NPA records would suggest that NNPC imports about 4-6 vessels of kerosene a month. Industry sources place the value of each vessel at $30m and the amount of “subsidy” per vessel at $20m. This means, at an average of 5 vessels a month, the Federation Account loses $100m every month to this racket. 2. I have also shown, in my submission, that claims by NNPC of spending the money on PMS subsidy are not credible. I have submitted proof that as from April, 2012, NNPC has consistently rendered returns to FAC indicating that it made no deduction for subsidy. This is after rendering returns on amount deducted monthly for 20 consecutive months to March, 2012. NNPC had previously explained that it had stopped deductions from 2011 and that the N180b taken in Q1:2012 related to fuel imports for Q4:2011. As from 2012, the directive was for NNPC to submit its papers to PPPRA, the relevant government agency set up and given the responsibility for verifying and paying subsidy claims. Having officially reported that it was not making deduction for fuel in 2012 and 2013, it is surprising that the GMD and GED of NNPC would now claim that $8.49b was used to pay for subsidy. I am convinced that a major source of revenue leakage from the system is NNPC’s unverified claims for subsidy and unilateral deduction from the Federation Account. If we take the PPPRA template, subsidy/litre of PMS is about 1,136litre/MT, the subsidy is around N1.5b. This means that for every $1b claimed by NNPC as subsidy deduction, the corporation is claiming to have imported at least 100 vessels of PMS. In addition to the N180b reported in Q1:2011, NNPC had deducted N845 billion in 2011. According to the Farouk Lawan report, NNPC deduction for PMS subsidy in 2011 alone amounted to N1.7 trillion, if we add claims on Excess crude naira account. Any serious investigation into these matters will require an audit of NNPC’s database which it is statutorily required to keep based on subsidy guidelines. Only verification of the legitimacy of these claims can form the basis for a true reconciliation. 3. Based on NNPC’s disclosure to the effect that it shipped $6b worth of crude oil on behalf of NPDC, I have argued here that at least a part of this amount is due to the Federation Account. This part relates to oil produced from blocks operated under “Strategic Alliance Agreement”. I have given you three legal opinions that unanimously argue that these agreements merely serve to transfer revenue due to the Federation to private hands. I have also shown how, based on these arguments, NNPC has effectively given tax relief and concessions to its business partners. Also customs duties and levies are treated as “development costs” and recouped from “cost oil” and “cost gas”. These companies recover OPEX and COPEX from production, take 20-70 per cent of the profit and pay no tax, on JVs in which the Federation was previously entitled to 55 per cent of the entire profit oil when Shell was the operator. I have given details of these transactions and my concerns in the paper. 4. Although the above 3 areas exhaust the areas covered in NNPC’s explanations, I have also taken time to submit my analysis of the crude-for-refined-product swap contracts entered into by PPMC. This is because a significant part of the domestic crude taken by NNPC is in these transactions. I have indicated where i believe we are losing money in these transactions. Having thus explained my major opinions on NNPC‘s explanations, I will come to the reconciliation. 2. $15 billion as payment to FIRS by IOCs. They paid in crude which was lifted by NNPC on behalf of FIRS. There was nothing in our records linking the two transactions. 3. $2 billion Royalty payment to DPR by IOCs under similar arrangements as in (2) above. 4. $16 billion out of the 428b taken as Domestic Crude Paid in Naira, not dollar. 1. $12 billion out of domestic crude sales yet to be remitted. 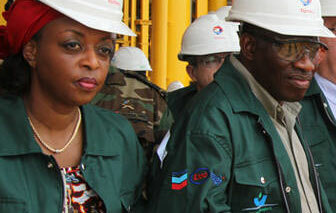 NNPC has already disclosed N180 billion as subsidy payment in Q1.2012. If PPPRA confirms this number, we will adjust the balance accordingly. As for the balance of $10.8 billion, NNPC has publicly disclosed that 80 per cent applied to petrol and kerosene subsidy. We have already explained why this explanation is untenable and NNPC needs to provide the relevant proofs. 2. $6 billion shipped on behalf of NNPC. We have explained why some this belongs to the Federation and the need to investigate and audit the SAAS to recover amounts unconstitutionally diverted. 3. $2 billion “third-party” financing” we have not been given any documents explaining or proving this along with other claims around pipeline repairs, maintenance, strategic reserves etc. There was no appropriation for these expenses and NNPC also needs to substantiate them. In summary, it is established that of the $67 billion crude shipped by NNPC between January 2012 and July 2013, $47 billion was remitted to the Federation Account. It is now up to NNPC, given all the issues raised, to produce the proof that the $20billion unremitted either did not belong to the Federation or was legally and constitutionally spent. There is no dispute that $20 billion out of $67 billion has not been paid into any account with the CBN. Our recommendation remains that this matter requires thorough independent investigation, as simple explanation will not suffice. I concluded my submission with recommendation for the future, to protect the economy from these unsustainable losses. All Crude for Product Swaps should be terminated and crude should be exported and sold at market price. Where NNPC needs to generate cash flow to fund PMS imports, it can “borrow” crude, on the approval of the Finance Minister, for 90 – 120 days. This crude is to be valued at the ruling market price. NNPC may sell the crude, import PMS and sell through its outlets. It should claim subsidy from PPPRA like every other marketer and present all required documents. Thereafter, NNPC should pay back the full value of crude lifted to the Federation Account and retain the profit. Where NNPC delays payment, the amount outstanding should attract interest at commercial rates until payment. All the SAAs entered into by NPDC should be investigated for constitutionality. The production numbers, Opex and Capex, and profit shares should be audited. The tax arrangements entered into with these parties should be reviewed and all revenues due to the Federation collected. If possible the SAAs should be terminated. Certainly, NNPC should be prohibited from entering into any SAAs in the future. NNPC to account for subsidies claimed in 2010-13 by producing documentary proof of legitimacy. As for what action needs to be taken on what has happened in the past, we express no opinion. The decision on what to do in this case rests entirely with the Government. My task is limited to raising an alarm over what I think is a development that is harmful to the economy, and establishing that the alarm was neither spurious nor baseless. I still insist that an investigation is needed to establish the extent of the losses and the nature of offence committed. I believe I have placed enough information before this committee to make the point. The amount in 19 months may be $12 billion or $19 billion or $21 billion, we do not know at this point but if we extend the period the amount will increase anyway, since this has been going on for a long time. The first priority is to stop it. It is unsustainable, and it will ultimately, if not stopped, bring the entire economy to its knees. The B-R-E-A-K-I-N-G News!!! 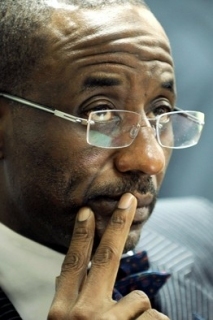 Sanusi Lamido, MTN , Stanbic IBTC, in $8b Money Laundering Scam. How can the Naira be worth anything when Nigeria is a 419 made in a 419 and the main business is 419’ing while working people suffer in modern day slavery!!!! The Biggest Corporate Fraud Fraud In Nigeria Exposed. **the sum of $31,057,339.23 remitted on their behalf to Barclays Private Bank, Hans Crescent, London. **sum of USD 936,017,265.89 to the Cayman Island, British Virgin Island and Mauritius. **shareholder names are used to transfer Millions of dollars overseas without their knowledge. **Sanusi using his owning Bureau De Change to defraud Nigerians and killing Naira value. (Forex) reserves but also has negatively affected the country’s economy over the last five years, National Daily can authoritatively reveal. An anonymous petition sent to President Goodluck Jonathan by interest group who claims to be in the know of the transactions, had triggered what they described as a special investigation into humongous economic sabotage activities embarked upon by the actors. Accordingly, the telecoms company has allegedly since February 7, 2008 engaged in practices that clearly constitute economic sabotage against the Federal Republic of Nigeria. 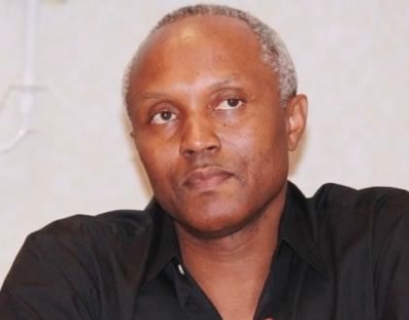 Our sources highlighted that all the transactions were done in collusion with top officials of the Central Bank of Nigeria and that petitions sent to the Central Bank Governor over this fraudulent transfer of funds from Nigeria to safe havens abroad were ignored by the Governor because he has interest to protect. In the said petition a copy of which National Daily obtained with supporting documents that exposed the monumental act of money laundering, it was noted that MTN Nigeria in concert with Standard Chartered Bank and Stanbic IBTC Bank illegally remitted the sum of USD 936,017,265.89 to the Cayman Island, British Virgin Island and Mauritius. He also explained how MTN fraudulently used 20 copies of forged Certificates of Capital Importation allegedly used by a foreign investors who brought in foreign capital investment on February 7,2008 through Standard Chartered Bank and on February 8,2008 the said Capital had yielded proceeds that were repatriated to the tune of USD936,017,265.89. The petitioner carefully itemized all the transactions starting with the one made on behalf of N-Cell Limited with office address at Geneva Water Front Drive, British Virgin Islands. This company had the sum of $31,057,339.23 remitted on their behalf to Barclays Private Bank, Hans Crescent, London (account number withheld). The second remittance was made on behalf of SASPV limited located at Port Louis, Mauritius (account number withheld), domiciled at the same Barclays Private Bank London. The next transfer was the sum of $590,574,488.17 made on behalf Of MTN International Mauritius Limited with office address at Suite 525 Barley Wharf, Port Louis Mauritius. Our sources equally provided evidence with account numbers , names of banks and transaction details of other similar numerous transactions made on behalf of MTN Nigeria by Stanbic IBTC and Standard Chartered Bank. The highlighted that these transactions were funds generated in Nigeria from MTN operations in Nigeria and the sum of $314,420,108.60 being proceeds generated from Nigeria through private placements of MTN shares. On the role played by both Standard Chartered Bank and Stanbic IBTC in all these, our sources noted that it is disturbing that Stanbic IBTC which facilitated all these illegal transfers had between October, 1, 2007 and May 31, 2009 carried out similar questionable capital repatriation through its invincible transactions for the sum of $7,705,890,581.13 out of Nigeria. This fraudulent transaction was made known to both Central Bank and Nigeria Deposit Insurance Corporation (NDIC) examiners when they visited Stanbic IBTC in 2009 and 2010 but they did nothing about this huge infringement. Standard Chartered Bank according to the petition that is said to be giving President Jonathan sleepless nights had in its MTR202 for the period ended May 2009, understated the balance in its Capital Importation Inflows for which Certificate were used to the tune of $314,420,108.60 representing acquisition of MTNs link units by Nigerians for which the Bank issued CCIs. The said inflows were classified as over the counter transactions by IBTC. The investors and beneficiaries of the CCIs were all nonresident in Nigeria and resides in the following countries, Mauritius, British Virgin Islands, Cayman Island, thus the need for Nigeria Investment Promotion Council registration certificates. These certificates were not provided by IBTC on request. There was no evidence that the CCI’s were transferred to IBTC by Standard Chartered Bank. Stanbic IBTC did not obtain any indemnity from Standard Chattered Bank before transferring the said proceeds to private placements. Stanbic IBTC did not indemnify CBN before embarking on the forex transfer as requested by the forex manual. Moreso, the beneficiaries of these capital repatriation proceeds communicated their bank account details to Stanbic IBTC, same day their respective CCI’s were issued which was on February 7, 2008. It was discovered that MTN Nigeria had transferred various sums to its shareholders both individuals and organisations, who bought MTN shares through its private offer. Investigation revealed that these sums in some cases represent the actual investments into the telecom giant by these individuals and organisations numbering about 35. They include but not limited to the Oba of Lagos, HRM Oba Rilwan Akiolu (203,500 units of shares for which $5m was illegally transferred to an offshore account for him), Mr. Reginald Ihejiahi of Fidelity Bank (203,500 units of shares for which $5m was illegally transferred to an offshore account for him), Governor-elect of Anambra State Chief Willie Obiano (203,583 units of shares for which $5m was illegally transferred to an offshore account for him), Mrs Olufunke Osibodu (203,500 units of shares for which $5m was illegally transferred to an offshore account for her) and Cherroots Nigeria Ltd (2,035,830 units of shares for which $50m was illegally transferred to an offshore account for it). FUSL Nominees Ltd got $30m for its 1,221,498 units, Mr. Olusola Adeeyo got $10m for his 407,000 units of shares, Tele SPV Ltd got $20.5m for its 834,690 units, Yoram Ltd ((407,166 units of shares for which $10m was illegally transferred to an offshore account for it), Sterling asset Mgt and Trust Ltd for its 407,166 units got $9,995,920.00, Mr Bismarck J. Rewane for his 203,583 units got $5m, Mr Adebayo Olawale Edun for his 610,500 shares got $15m among others. It was gathered from some the named shareholders that the said amounts actually represent the value of the shares as at the time of investment but deny receiving such funds in their accounts as payment from MTN. According to some of them, they have received between 10 to 15 per cent dividends from MTN in the last four to five years but denied that it amounted to the amount captured against their names. This is one of the many puzzles that the investigators will need to answer – how did these figures come up against the supposed beneficiaries when in actual fact most of them are not aware of such transfers. Who did these transfers eventually get to? “It is however believed that between MTN, Stanbic IBTC and CBN, these particulars were simply used to provide for these funds to shipped by the telecom giant out of Nigeria. If this is true, then it means that the funds invested by these individuals and organisations were immediately laundered out of Nigeria, and that without their knowledge. Therefore, MTN Nigeria has been using funds generated from its Nigerian operations to both run the network and pay dividends to supposed shareholders who are not even aware that their funds were never used for the company but laundered abroad,” one of our sources added. National Daily can also authoritatively reveal that the Presidency will also look into the role of Bureau de Change registered by Mallam Sanusi Lamido Sanusi as they were part of this scam. The petitioner expressed assurance that if this issues raised are adequately investigated, Nigerians will be shocked as to the level of rot in the system, especially how those employed to watch over the nations resources are also colluding with foreign interests to defraud this country by engaging in acts of economic sabotage. Finance Minister, Dr. Ngozi Okonjo-Iweala was in dark, has already distanced her ministry from the transactions as there are no corresponding records to date. Efforts to get an official reaction from the CBN, MTN and Stanbic IBTC proved abortive. Calls text messages to CBN Governor Mallam Sanusi Lamido Sanusi, Mr. Ugo Okoroafor Director of CBN Corporate Communications, were not returned. After series of calls and text messages to MTN Senior officials, one of them responded with a call and asked that we sent a mail to the relevant head of corporate communications for an official response, which we promptly did. But as at the time of going to the press no response was received. Presidency sources told this newspaper that a thorough investigation has been ordered into the allegations. It therefore remains to be seen how the already embattled CBN Governor, Stanbic IBTC and MTN will exonerate themselves from this allegations of monumental fraudulent depletion of Nigeria’s External Reserves in the light of the available documented evidences. According to the whistle blower, our sources revealed, Nigerians are in for a grave shock by the time this investigation is concluded and details made public. Obasanjo, Yar’adua and Jonathan fraudulently spent N4.17trillion. THE PUNCH – Nigerian leaders have cultivated the fraudulent culture of extra-budgetary spending. The latest atrocity is embodied in a report of the House of Representatives Committee on Public Accounts, detailing how the Federal Government incurred an illegal expenditure of N4.17 trillion between 2004 and 2012. The period spanned the tenure of three presidents: Olusegun Obasanjo; the late Umaru Yar’Adua; and the incumbent, Goodluck Jonathan. With none of them ever brought to book for this act, the unconstitutional practice continues to fester. In a sad trajectory, the National Assembly that has the oversight function to check the wrong practice has also failed to discharge its duties. An effective deterrent by the parliament, in the form of not approving annual budgets or even taking the drastic step of impeaching those culpable, would have sent a strong signal to the errant Presidents. Instead of advancing noble ideals, legislators are only interested in feathering their own nests by regularly increasing their unjustifiably high remuneration. Through what is called the Service Wide Vote, the government has unlawfully expended N2.27 trillion more than the N1.8 trillion approved by the National Assembly for the nine years. The SWV is earmarked for emergencies that are not covered by Appropriation Act in a financial year. Of significance is the committee’s observation. “Contrary to … using the vote for emergencies, after its examination of the Auditor-General’s reports on the accounts of MDAs, the committee discovered indiscriminate use of the vote in funding government projects and programmes that should otherwise have been provided for in the annual budget, as such expenditure were never contingent in nature,” the report said. This is irresponsible. This time, the lawmakers must get to the root of the matter by compelling the affected MDAs to account for the funds. This is the only way to stop officials of this government and its successors from engaging in this corrupt act. The Executive must be made to account for its frivolity in this matter. While it is understandable to use the SWV to address the militancy in the Niger Delta region and anti-terror war in the North-East, it is nauseating that the SWV was abused to the tune of N1.2 billion during the period just to sponsor public officials overseas to seek medical attention. It is equally disgusting that the SWV was abused to cater for Charles Taylor, the former Liberian president, who was on exile in Nigeria. Taylor’s upkeep in one year reportedly gulped N250 million. “The period 2007 to 2012 witnessed astronomical increases in SWV releases to MDAs. It is evident that releases to the MDAs from the SWV during the period ranged from 68.88 per cent to 344.4 per cent of recurrent allocations to the affected MDAs,” the report added. This is unpardonable. The practice of spending public money as if there are no other pressing needs in the country must stop. Last October, the United States government (executive) was forced to observe a partial shutdown of its activities after the US Congress failed to pass the bill authorising the government to spend any money. While the rancorous incident lasted (October 1 to 16), mostly on hardened party lines, President Barack Obama did not dare spend a cent outside of budgetary provisions until he eventually worked out a deal with opposition lawmakers. Not so in Nigeria where presidents brazenly spend public funds without approval or censure. Apart from the SWV abuse, there are other serious cases of misapplication of public funds. A glaring instance, as an investigation early this year by the Senate discovered, is the abuse of Special Funds, violated to the tune of N1 trillion within 10 years. The special funds include the Ecological Fund, the Stabilisation Fund, and the Natural Resources Development Account, which are routinely diverted for purposes other than what they are legally meant. Also, the Tertiary Education Trust Fund is being diverted to areas other than its original purpose, such as in building almajiri schools. Government must stop violating basic constitutional provisions. The probe in the parliament must go beyond the usual din of investigation without a follow-up action. The labour movement, civil rights organisations, NGOs and the Nigerian people must be united in confronting this recklessness. The government must be made accountable and made to act within the confines of the law.